Porsche recently took its Mission E prototype to the Nurburgring in Germany, where it was spotted speeding through one of the track's iconic turns. The Mission E was first unveiled at the 2015 Frankfurt Motor Show as a concept car - an all-electric sports car with downright jaw-dropping specs. Featuring a sleek design, the Mission E will reportedly be priced somewhere in the $85,000 range and will have a 0-62 MPH time that comes in at less than 3.5 seconds. Porsche says that they are aiming for the vehicle to have “over 310 miles of range” (500 km) on a single charge, but they announced that based on the New European Driving Cycle (NEDC), which is much more forgiving than the EPA rating and doesn’t really reflect real-world range. It should still have a more than decent range of more than 250 miles. 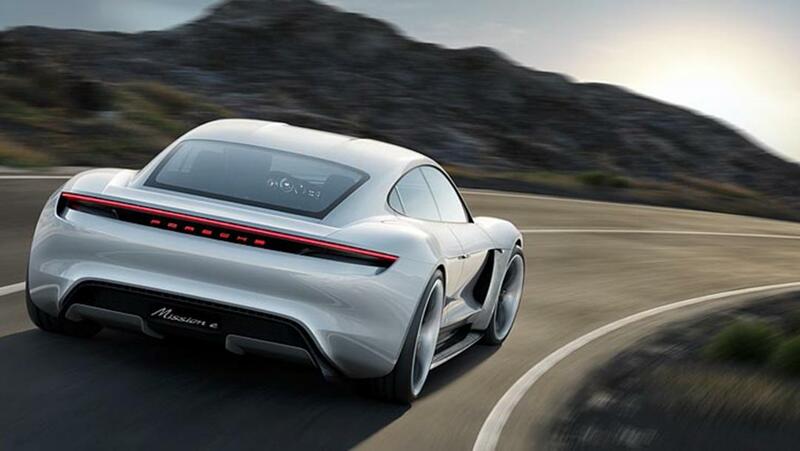 Since then, however, Porsche has begun producing pre-production prototypes of the electric car, which still boast some classic Porsche design minus some of the concept version’s more daring design elements. The most prominent of these are the rear suicide doors on the concept Mission E, which have been replaced by traditional rear doors on the pre-production variant. Some characteristics of the Mission E concept remained present in the pre-production version of the all-electric car, however, such as the sleek lines on its front that curve into its headlights. Certainly, the Mission E’s rapid charging time will set it apart from its rival, as the EV is expected to reach an 80 percent charge in 15 minutes when equipped with an 800-volt battery and in 40 minutes with its standard 400-volt battery. Porsche will also be entering the car in Formula E next year to learn more about the car’s engine and thermal management systems to tweak the production models. It’s all part of Porsche’s massive $7.4 billion investment to help the automaker enter the electric range. These specifications position it as a direct rival to the Tesla's Model S, but Porsche isn’t happy about the Mission E being compared to Tesla’s electric sedan. In response to a question on whether he sees the Mission E as a direct competitor to the Tesla Model S, Porsche CEO Oliver Blume said he had a “lot of respect for Elon Musk” (Tesla’s founder and CEO) and how he has changed the world, but that Tesla isn’t a benchmark for Porsche. “Everything we do has to be typical of us,” he said. Porsche VP of Product Line BEV, Stefan Weckbach, even threw some shade at Tesla, stating that the American electric car and energy company does not build a car that can tackle the performance requirements of continued track driving. Porsche is plowing around €1 billion into building a production facility on the the site of its main plant near Stuttgart in Baden Württemberg, to make the Mission E cars. The company is flush right now, having just reported the most successful year in its 70-year history, with a 4% rise in year-on year deliveries, to a record total of nearly 250,000 cars, and profit after tax up 19% on the year, to €3.1 billion. While the Mission E will definitely be a Tesla Model S competitor when it gets released, Porsche’s idea of a charging infrastructure is far different than the Elon Musk-led company’s Supercharger network. Porsche is setting up its own super-speedy charging network too, at its dealerships in the US and with other automotive partners in the EU, where customers will be able to plug in for 15 minutes on 800-volt fast chargers and get another 250 miles of driving. In a recent statement, Porsche’s deputy chairman of the executive board Lutz Meschke noted that Mission E owners would be billed for charging services from day one of ownership. Meschke further noted that the rates for the Mission E’s charging would be comparable to the average prices of gasoline. With this said, maybe Porsche plans to distance itself from Tesla and try to market the vehicle to gearheads, which would also be a good thing for electric vehicle adoption and the Mission E might be the first all-electric vehicle to push Tesla to improve and catch up instead of leading.